We’re not alone. In a world with Raptors, iPhones, and Galaxies, there exists hundreds of other phones and phone companies. Sometimes the options can be overwhelming; there are many phones out there that share similar specifications, characteristics and prices, which can make picking the right phone for you tough. Advertisements flying across the screen or paper will try to help you make that decision, but how do you know which phone is the one to go with? What makes a Samsung phone different from a GS phone, and a GS Phone different from a Blu phone? The normal, easy answer that is usually given is that it is the phone’s components that make it unique. You have probably heard or seen companies advertise “This phone is 4G LTE…” or “…with its 5.1 inch screen…” when trying to differentiate their phone from the competition. Companies like Apple even simplify it further, by not explaining the specific components, but solely showing what it can do. We did this recently with our first commercial; it works because it doesn’t overwhelm the consumer with information that does not relate to their needs. However, the “components” explanation is only scratching the surface of the full answer. I will tell the answer in a moment, but I want to look into and illustrate the answer with a more familiar example. Suppose we look into the fast food industry. Think of how many different restaurants there are, and now think of how many places produce burgers. Burgers are simple and generally contain the same ingredients: meat, cheese, buns, lettuce, and a few extra ingredients. Since I want this to mimic the phone industry, let’s get rid of all the extra sides like the pickles, onions, secret sauce, and others. The sides of a burger are the same as a finger scanner or a dual sim card slot for a phone: they do not influence the performance of the burger/phone, only “spice it up”. With just the meat, cheese, buns, and lettuce, now we have the core components of the burger, just like the processor, motherboard, memory, and wireless router on a phone. If we were to take one of these plain burgers from McDonald’s, Jack in the Box, and In-n-Out and taste each one, we would notice each burger is slightly different in appearance and greatly different in taste. Though the burgers contain the same ingredients, each provides a unique experience when we bite into it. Those of you who know of In-n-Out also know of their renowned quality, yet they seem to be able to produce just as many, if not more, burgers than the other two. How does this happen? The answer lies within the craftsmanship of the product and the amount of love put into the making of it. Unique experiences are created by having a profound depth of knowledge of every component/ingredient and of how each individual component influences the others used in the product. The artisan has knowledge of all the brands/variations of each component and how each variation is different, and they pick the materials that work the best with each other. When preparing the materials, the artisan knows all the different methods they could use, and they choose the method that they know will help produce the exact experience that they want to deliver to the customer. And with every other step in the process, the craftsman keeps in mind what the public desires, what the competition already has, and looks for any opportunity for innovation. 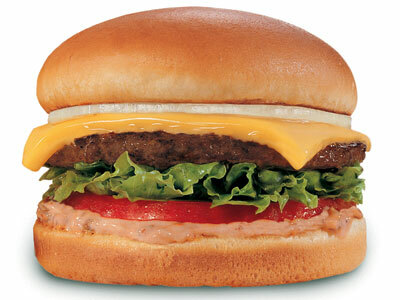 Going back to the fast food example, each restaurant studies the ingredients going into the burger. Whether the ingredient is bold or mild in taste, the color, where it came from, the size, the amount: these factors are analyzed and tested to ensure the best result. Once a consistent method of preparation is established, they’re off to the races. Let’s see how this translates over to the mobile phone industry, specifically our company. When we designed the GS1 Raptor, we researched all the different types of motherboards, processors, displays, batteries, memory, other parts and looked into their specifications. We found how well each of the components were compatible with the others, and knew that if we wanted the quickest operating phone out there, the parts had to be efficiently synchronized together; this way, the signal and current are never halted and is effectively transmitting information. The size and type of battery was chosen that would provide just the right amount of power without overloading the motherboard. The motherboard was chosen based on the design of the circuits and how well the information could be passed in it. All of the parts we chose were made in the United States, then sent to a long-time friend in China to be assembled. The results were exactly what we expected: even without an LTE connection, the GS1 Raptor provides consistent high speed performance and a radiant display with little to no toll on battery life. Even when the battery reaches critical levels, the phone does not slow down, and it fully recharges in under 2 hours. Just like Apple, Samsung, and other phone companies, we believe the craftsmanship of the GS1 Raptor and combination of parts provides the best experience at the price it is being offered. Unfortunately, it’s not as easy to compare phones than it is to compare burgers. Fortunately, there are sites like PCMag.com that help out tremendously by providing extensive reviews and having phone comparison applications. Sites, like ours, also have testimonial and review sections that have recounts of real customer experiences, which you can see here: https://mygsphone.com/testimonials/.